Blue statues. Poll | Boom Beach. All about the Game! ← Cryoneer. Do we really need this unit? Poll. I’m sure many of you not once heard a catchphrase “the best defense is a good offense”! 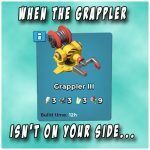 And I can tell you that many Boom Beach players follow this rule. 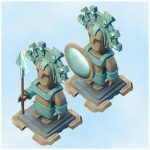 They don’t install blue statues (main purposes of which are increasing of the defensive buildings health and defensive building damage) at all. 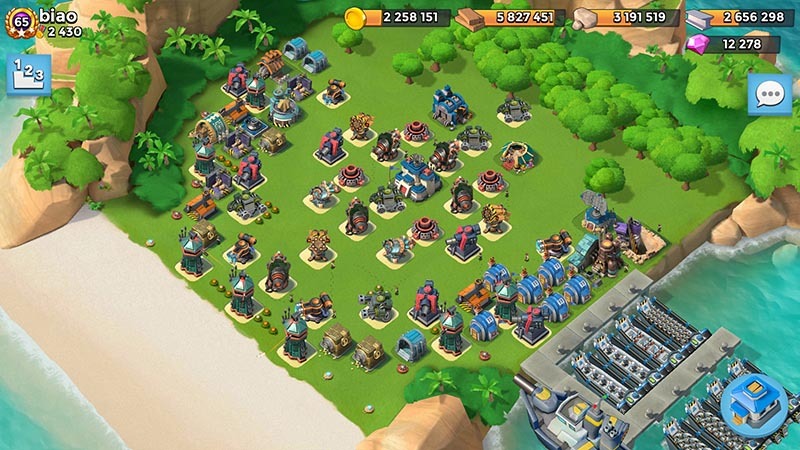 Instead of defensive statues such players install maximal amount of statues aimed at increasing of attack power (red ones that increase troops health and damage power and dark ones that increase Gunboat energy). In general these players are focused only at attack and defense of own base doesn’t worried them at all. But whether such a strategy is correct? This is everyone decides for himself. What amount of "ice" statues is optimal? Zero! No need to install them at all. They are for cowards! 1 or 2 maximum. More is already too much! 5 or 6, and maybe more... See for yourself how many of such statues have TOP players! All the statues should be blue! Personally I think so! As for me I don’t belong to the category of players who are focused only on the attack. I’m sure that many of you think that is too much! 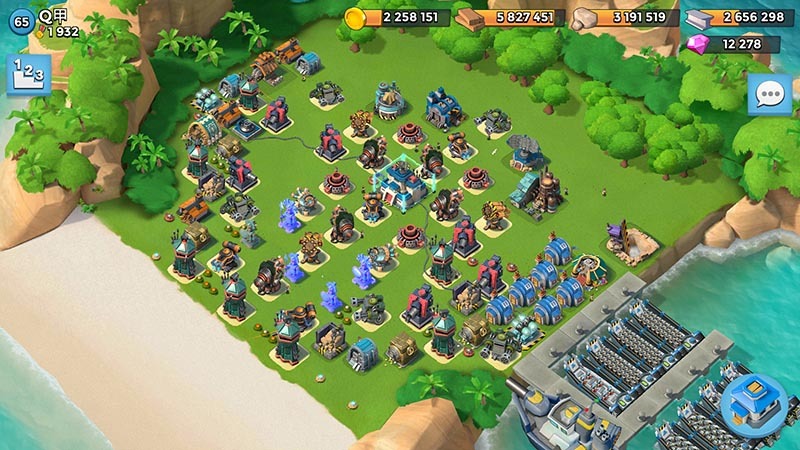 But judge for yourself, the Base without any of blue statues almost has no any chances to survive and repel the attack. Accordingly after each successful enemy attack we lose resources and victory points and it’s becomes much harder to accumulate them! Thus in order to save resources and accumulate them for upgrading of some building we need to stay online as long as possible. 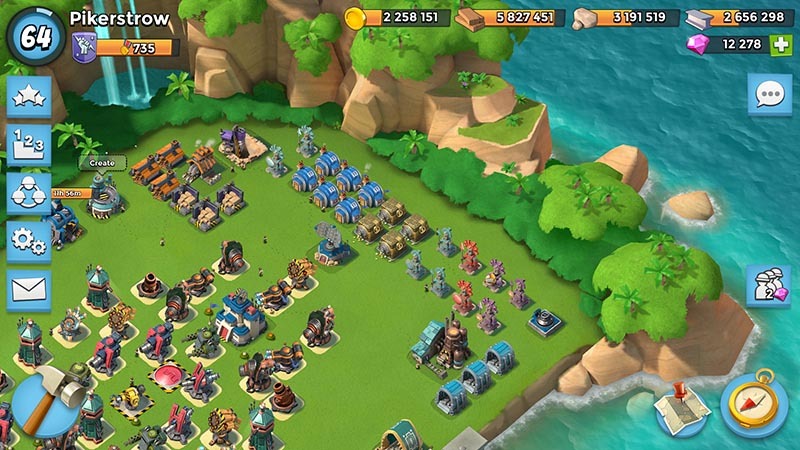 But in case when we have defensive statues we can boost them with power powder and get out from the Game without having to worry that all resources would be stolen. 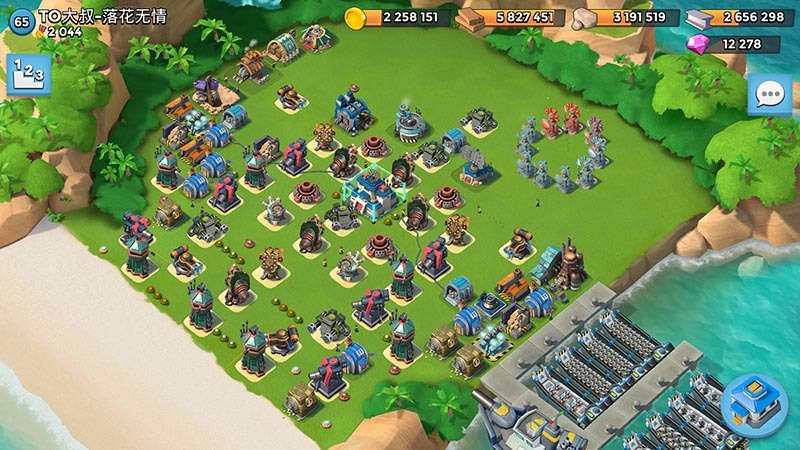 As a rule, almost nobody attacks my island when all my blue statues are boosted with power powder. 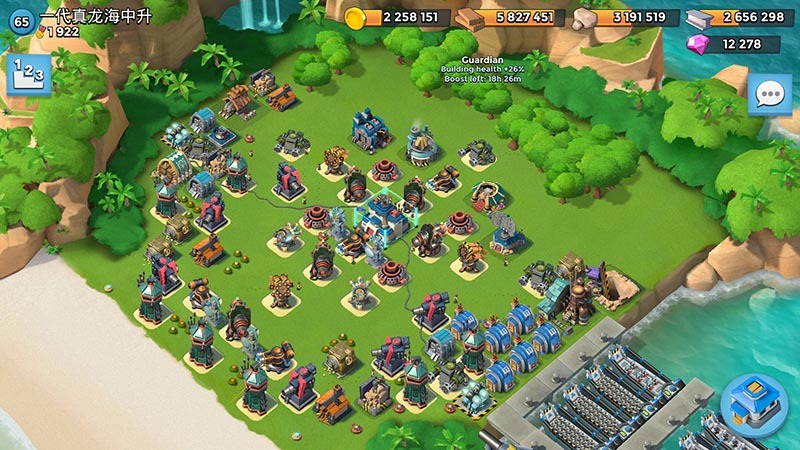 I think You will agree that 5 or 6 boosted blue statues holding back the urge to attack such island at least until the expiration of power powder action. 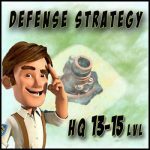 And one more thing – good defense it’s an extra diamonds for you and extra intels for your TF! As you can see four of five top players are focused on defense! This entry was posted in DEFENSE, OTHER and tagged Defense, Statues. Bookmark the permalink. 8 Responses to What quantity of “ice” statues is optimal? Poll. Yes but as i’m focus on op, i don’t care the ranking, i do need only red and black. But with a lot of blue statues we can get an additional intels as a reward for successful defense. And this is great for op, isn’t it? Depends on what your objectives are. If your goal to to hang on to your resources and never get attacked, then you will want several blue statues. If you are in an aggressive TF, you will want more red and purple statues. I would kick anyone with more than 2 blues from my TF. Exactly! I’m also for all red and purple! I hate blue players and always try to sweep them off from my map first of all. The bases you have referenced are at a drastically different VP level. There is no need for ice until at least 1000 VP. You’re completely ignoring many important details in making your “decision”. Hi! Thanks for your comment. 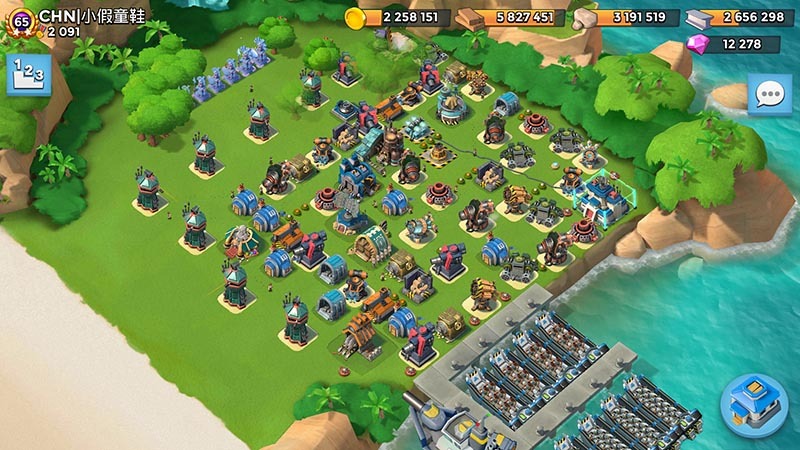 Would you explain what important details i’m ignoring with many blue statues on my lvl? I’ve never owned 1 blue statue. I don’t care about global rank. I care about attacking and ops and having fun. What fun is it to sit on your base and wait to get attacked? Additionally I don’t understand why people past vp level 1000 load up on blues. They don’t need resources for anything as everything is maxed so WHAT ARE YOU PROTECTING? Your rank? Who gives a crap about that? I guess I don’t get it. I’m all purple gbe and 4 reds. 2 troop health, 2 troop damage. Well, loading up on blues can be actually a good thing. Having the right ones can counter offensive statues. Say, someone wants to attack someone else. Person #1 might have, 50% troop health increase. 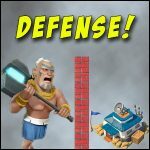 Whereas person #2 might have 30% defense health and 20% building damage. They would counter each other so that it boils down to use of the gunboat.